Commemorative medallion: Provided as part of your online entry. Fancy dress is optional, but encouraged. The winning male and winning female will win a free entry to next year’s race. The top 30 best dressed will win a bottle of wine, courtesy of Holm Oak Vineyards. Will be available on the website as soon as possible, normally within 24-36 hours of the race. Will be taken by various photographers on raceday and will be posted to our Facebook page within 24 hours for viewing and download, free of charge. 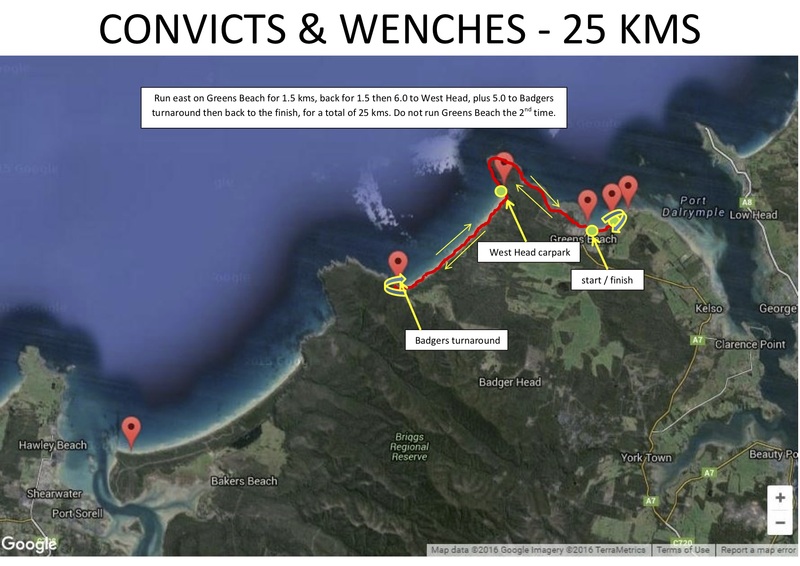 50 km run from Greens Beach, westwards through West Head car park, along Badgers Beach, across Badgers headland and then along Bakers Beach to the western end, turn around and run back along the same route to the start/finish precinct. 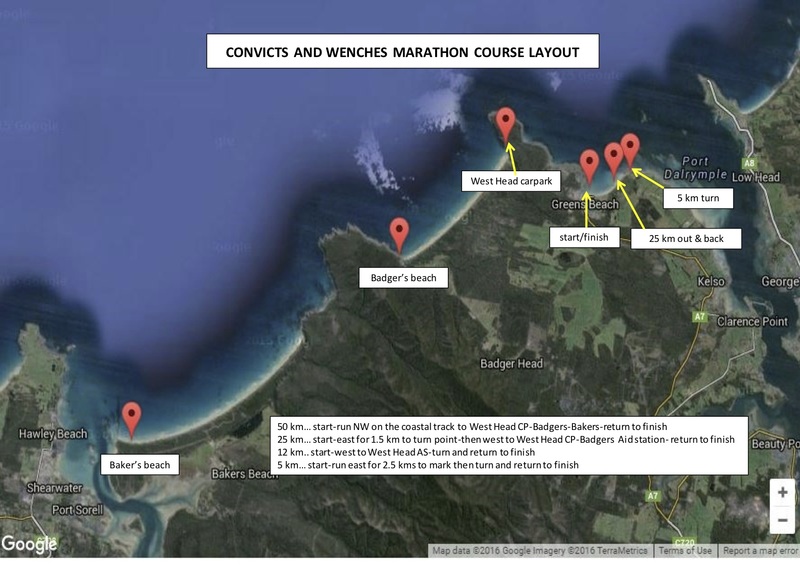 25 km run, first run in an easterly direction along the length of Greens Beach and then back, then proceed in a westerly direction along the coastal track past West Head car park, along Badger’s beach to the aid stations in the park at the western end of the beach, then back to the start/finish precinct. 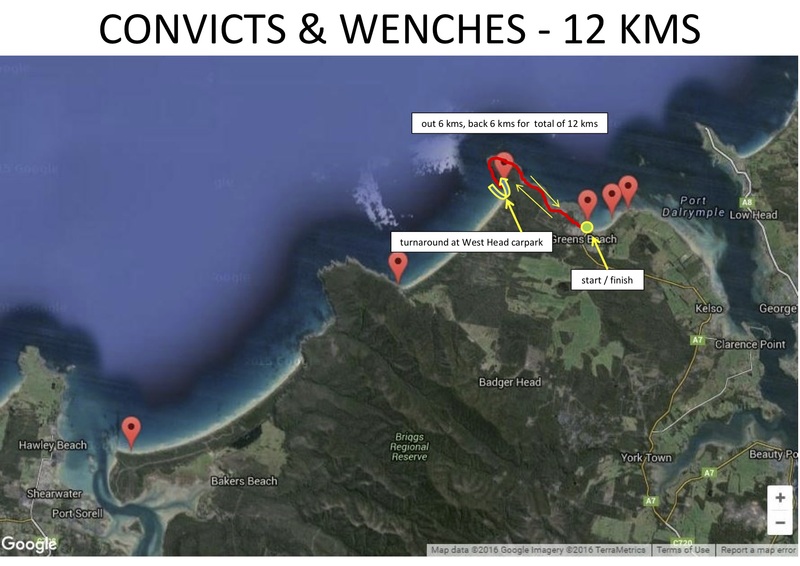 12 km run / walk, from Greens Beach, follow the coastal track to West Head carpark and back. 5 km run / walk, on Greens Beach. 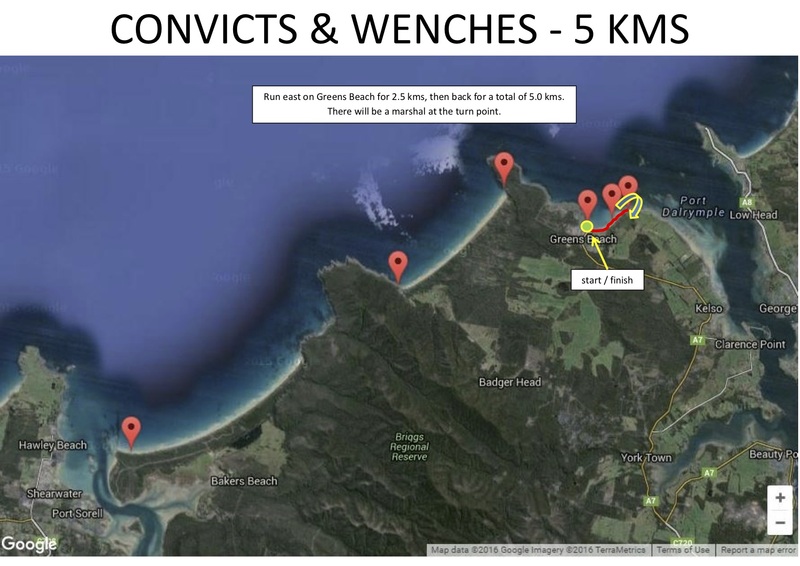 50 km relay teams of two, same route as the 50 km solo option; except that one runner runs out for 25kms, the other back. 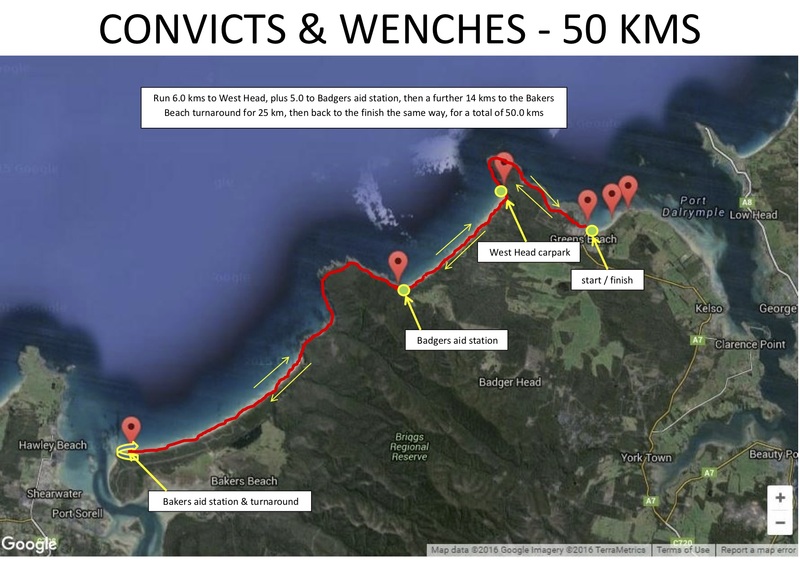 Situated at West Head carpark (6/44 km), Badgers headland (11/39 km) and the turnaround for the 50 km event at the western end of Bakers Beach. The aid stations will all carry water, Hammer Nutrition sports drink (water alone is not enough), coca cola, banana pieces and glucose type lollies. All aid stations are accessible by car. The aid stations will carry First Aid kits. On the day only, available from 7:00 am in the start/finish precinct. The start times are arranged to enable prize-giving to be held at approximately the same time. These will be provided free of charge to runners and will be available for collection with your race-bib. Although by no means compulsory, it would be appreciated if you could wear your singlet on the day. Please note that these need to be ordered 5-6 weeks before the event date. Runners who enter after this ordering date risk not receiving a singlet. Adequate parking is available in the streets surrounding the start/finish precinct, the Eastern end of Greens Beach Road and in the eastern end of the Greens Beach Caravan park. There is room for at least 400 cars in this area. 8 hours or 4:00 p.m. for the 50 kms. If you need longer, talk with the race director about an earlier start. No cut-offs are imposed for the shorter races. Please bring all trash back to base. Please do not leave any wrappers or other trash on the trails. Leave only footprints and take nothing but photos.